For over 67 years, our licensed HVAC contractors have faithfully been offering high quality services to our clients in the central Ohio area. Our motivation has always been exceeding our customers’ expectations. We offer a variety of air conditioning and heating services, as well as generator services. 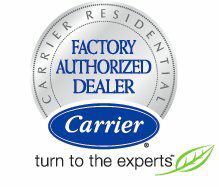 Over the years, our customers have known us as Columbus Ohio’s leading HVAC contractors. We would like you too to benefit from our wonderful service. We know that your air-conditioning system may fail due to normal wear and tear or any other cause, in which case we are all too happy to help out with high quality repair. Good repair saves you the agony of having to install a new system. We offer a wide variety of heating repair and replacement services. Our certified technicians can replace or repair the following: heat pumps, gas furnace, boilers, and more. If you are calling for a repair service, help us understand and assess your situation by following this checklist before scheduling a service call. I must say that I have been thoroughly impressed with the performance of my new Bryant 96% furnace installed last summer. My natural gas usage is down by more than 30% versus the same timeframe last winter and coupled with the new humidifier is keeping my marginally insulated home quite comfy. I’ve even been keeping it a little warmer than I have in the past (a sign of getting older, I guess). Hat’s off to Steve and his Aire-Flo staff for steering me in the right direction!!! Very fast, very reasonable, very nice and very good work. And they support cat welfare in a huge way. Got home from work and the air conditioner was not running on the hottest day (so far) this summer. Called based on word from others and was not disappointed. To get service tonight was emergency service but it was about $30 more than regular service so I thought why not. I was told the tech was on a call but would call when he was on his way to me. He called about an hour later saying he would be to my place in about 20 minutes; and he was. He came in, put on the blue booties for the carpet and then went outside to check things out and discovered that the problem was that a capacitor had popped. It was a $150 Capacitor but it was cheaper than a compressor, or refrigerant. He replaced it on the spot, none of this ordering it. He then checked the refrigerant levels and found it good then cleaned the coils from the pollen. All of this took just 30 minutes. There was absolutely no mention of selling me anything else, not a future service or anything! Not that my unit is this or that, just what was wrong and what was needed to fix - PERFECT!!! All in all I am very happy and cooling down. And if I need anything else for heating or cooling I will call them. I just wanted to take a few minutes to thank you for recently “cooling-down” my family with your installation of a whole house Carrier air conditioning unit on June 30, 2010. I spent a considerable amount of time researching my options and evaluating proposals from several of your competitors. It is without equivocation that I state that Aire-Flo stood out when compared with other companies offering the same system. I can also confirm that this sale was highly predicated upon the professional and competent manner Steve Alexander handled his visit and proposal. He, unlike many of the other competitors, did not bad mouth my current system or try to convince me to buy more than I wanted. He quickly evaluated my needs and desires and promptly prepared his proposal. While not the lowest quote received, I felt confident that when he left, unless the other quotes were substantially less, I had found the company I wanted to perform the replacement. I think you ought to give Mr. Alexander the rest of the year off with pay!! I was on vacation myself when the install was performed but my son Greg informs me that the installers were prompt in their arrival and that the install was professionally completed. Just in time for those sweltering ninety degree days. Thanks to your entire team for a job well done. I certainly will not hesitate to call in thirty years when I need the next Carrier replacement.